The New York Life Insurance Company has provided quality insurance products for individuals, families, and businesses and is the largest mutual life insurance company in the United States and was founded in 1845. Their mission is provide security and a peace of mind through their insurance, annuity, and investment products and services. New York Life has the highest possible financial strength ratings currently awarded to any insurer from all four of the major credit rating agencies. New York Life offers life insurance, retirement income, investments and long-term care insurance. New York Life Investments program provides institutional asset management and retirement plan services. Since the New York Life Foundation was founded in 1979, New York Life has provided almost $220 million in charitable contributions to national and local nonprofit organizations. At New York Life, they understand the importance of having enough money to meet your financial obligations and pursue your personal goals which is why they offer a variety of competitively priced insurance and financial products to help you meet your goals — whether they include income protection for your family, long-term care preparation, or retirement planning. Life insurance from New York Life can help you make sure that your business is protected, your family is provided for, your child’s educational needs are taken care of, and that your children won’t have to worry about their future. 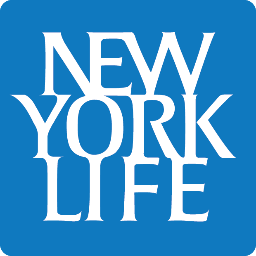 New York Life knows that your financial goals are unique and offers Custom Whole Life insurance to offer the same basic insurance and death protection as whole life insurance, while also allowing you to select how long you pay premiums. A guaranteed income annuity from New York Life can help provide the income your retirement deserves with a guaranteed income stream for life!